Read the full text of our review at Mysterious Reviews: All Cry Chaos by Leonard Rosen. Ten crime novelists are competing for the right to have their name on a new morgue at the University of Dundee. It's part of campaign on the part of the university to raise £1 million to fund the center. The participating authors are Val McDermid, Lee Child, Jeffery Deaver, Jeff Lindsay, Stuart MacBride, Tess Gerritsen, Kathy Reichs, Mark Billingham, Peter James, and Harlan Coben. 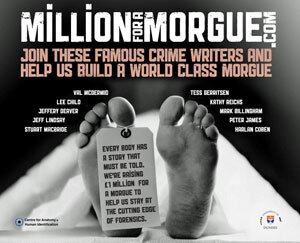 Everyone who donates to the Million For A Morgue campaign will get to vote for their favorite author or authors to determine who will have their name on the Thiel Centre of Excellence at the University of Dundee. Every £1 donated is equal to one vote for your selected author. As of the date of this post, Val McDermid is currently leading the other candidates for this honor. Visit MillionForAMorgue.com for more information and to donate to the campaign. Warner Bros. has optioned the film rights to the series of Lew Archer mysteries by Ross Macdonald. The eighth book in the series, The Galton Case, originally published in 1959, is the first to be adapted for an expected franchise for the studio. Lew Archer is a private investigator in Southern California and was featured in some 17 novels and numerous short stories. Paul Newman played the character — renamed Lew Harper — in two films, both from Warner Bros.: Harper (1966) and The Drowning Pool (1976). 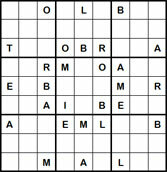 The character was also featured in an NBC television series and made-for television movie, also for the same network. Peter Graves played Lew Archer in The Underground Man (1974), while Brian Keith played the private investigator in six episodes of Archer that aired in the spring of 1975. In The Galton Case, almost twenty years have passed since Anthony Galton disappeared, along with a suspiciously streetwise bride and several thousand dollars of his family's fortune. Now Anthony's mother wants him back and has hired Lew Archer to find him. What turns up is a headless skeleton, a boy who claims to be Galton's son, and a con game whose stakes are so high that someone is still willing to kill for them. Be the main character of a mind-twisting murder mystery in James Noir's Hollywood Crimes for Nintendo 3DS. You are immersed in a puzzle adventure in an interactive 3D world. Live the thrill of mastering tailor-made mind games as you solve over 150 intriguing puzzles to solve a deadly mystery. The game takes place inside a TV game show, where you are a participant. As you play, you discover a series of murders and a diabolical criminal mastermind that is manipulating and defying you at every turn. Everyone on the set of the show is in danger — especially you. Solving the puzzles left by the killer at every crime scene is the only way to clear your name and to uncover his identity before it's too late. 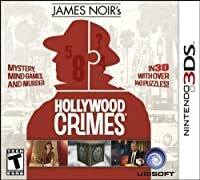 James Noir's Hollywood Crimes is scheduled to be released on Tuesday, November 1st, 2011, for Nintendo 3DS. It is ESRB rated T for Teen. Telemystery, your source for one of the most comprehensive listings of crime drama, amateur sleuth, private investigator, mystery and suspense television series, mini-series and made-for-television movies, now available on or coming soon to DVD or Blu-ray disc, is profiling one made-for-television movie based on characters from a crime drama and another complete series set being released this week. Almost 10 years after Hart to Hart ended its series run, Robert Wagner and Stefanie Powers reunited as power couple and amateur sleuths Jonathan and Jennifer Hart in eight made-for-television movies. 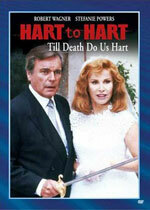 The first five of these have already been released on DVD, and now the eighth and final one, Hart to Hart: Till Death Do Us Hart, is being released this week on DVD. It originally aired on ABC in August, 1996. The remaining two movies, the sixth and seventh, are scheduled to come out in early December. 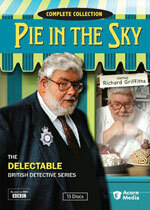 Richard Griffiths stars as Detective Inspector Henry Crabbe, a police officer who also serves as the head chef at the titular restaurant owned by his wife Margaret (Maggie Steed), in Pie in the Sky. We missed the first and last seasons, but have reviewed the middle three — see our reviews for Seasons Two, Three, and Four on Mr. E. Reviews — and found them to be delightfully entertaining. Pie in the Sky: The Complete Collection is available on DVD and consists of all five seasons that originally aired on BBC from 1994 through 1997. This city’s "Blues" are mentioned in the first Tess Monaghan mystery by Laura Lippman (9 letters). 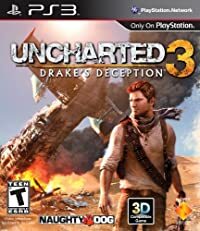 A search for the fabled "Atlantis of the Sands" propels fortune hunter Nathan Drake on a trek into the heart of the Arabian Desert in Uncharted 3: Drake's Deception. When the terrible secrets of this lost city are unearthed, Drake's quest descends into a desperate bid for survival that strains the limits of his endurance and forces him to confront his deepest fears. This third game in the "Uncharted" franchise — the first two are Drake's Fortune and Among Thieves — continues the adventures of the swashbuckling treasure hunter Nathan Drake, this time as he finds himself in a new variety of challenging environments. Sony is currently working on a film adaptation of the first game in the series, with the most recent news being the hiring of a new director/screenwriter. Uncharted 3: Drake's Deception is scheduled to be released on Tuesday, November 1st, 2011, exclusively for PlayStation 3. Also being released are Uncharted 3: Drake's Deception Collector's Edition and the PlayStation 3 320GB "Uncharted 3" Bundle. 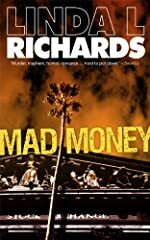 MystereBooks is pleased to feature Mad Money by Linda L. Richards as today's second free mystery ebook. We don't know how long it will be offered at this special price (typically only until a certain number of downloads have been completed), so we urge you to download it while it is still available for free. This first in a series of three introduces former stock broker, current day trader Madeline Carter. Though we didn't read this book, we did enjoy the second two in the series, The Next Ex and Calculated Loss. About Mad Money (from the publisher): When her best friend is killed in front of her at the New York City brokerage where they both work, Madeline Carter quits her job and aims for a safer life on the warm coast. But life has a way of interrupting the best laid plans and it isn’t long before Madeline’s quiet new life of day trading in the Malibu hills is interrupted by kidnapping, murder and a run-in with a corporate psychopath. MystereBooks is pleased to feature Fuse of Armageddon by Sigmund Brouwer and Hank Hanegraaff as today's free mystery ebook. We don't know how long it will be offered at this special price (typically only until a certain number of downloads have been completed), so we urge you to download it while it is still available for free. 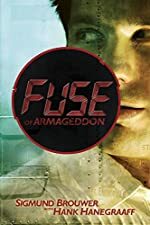 About Fuse of Armageddon (from the publisher): Nothing more could go wrong for maverick hostage negotiator Mulvaney Quinn. First stabbed in the hand during a failed terrorist bust, then arrested for a hate crime he didn't commit. Now Quinn must come face to face with his past in order to stop the worst terrorist threat of all time — a plot to bring about the ultimate religious uprising by destroying one of the most sacred relics in history. But the Fuse of Armageddon has already been lit. With the clock ticking down toward a global catastrophe, Quinn must team up with the most unlikely ally of all — the woman who arrested him — to bring down an even more unlikely coalition of enemies. Facing an unholy trinity of a Jewish fanatic, a Muslim terrorist, and a "Christian" freedom fighter, only Quinn can stop them from achieving their goal. But will he be in time? Or is it already too late? Because when Armageddon is unleashed, the fate of the entire world hangs in the balance. Chicago-area residents have the opportunity next month to get a peek into a mystery author's thought process and gain insight into the business side of an author's life at one of two "Love is Murder" mini-conferences being held during November. Libraries in Waukegan and Lincolnshire will host local-area authors, who will discuss the joys — and challenges — of publishing. Participants will have the opportunity to ask questions, mingle with the authors and network with other attendees. As a special bonus, one registered participant at each even will win a ticket to Love is Murder XIII Mystery Writers' Conference, to be held at the InterContinental Chicago O'Hare in February 2012, a prize valued at $275. The mini-conferences are free to attend, but registration is required to be entered into the raffle. Note: The Vernon Area Library event will be preceded by an Agatha Christie presentation with actress Betsy Means at 1 PM. Read the full text of our review at Mysterious Reviews: Covenant by Dean Crawford. Read the full text of our review at Mysterious Reviews: A Double Death on the Black Isle by A. D. Scott. Read the full text of our review at Mysterious Reviews: The Concert Killer by R. J. McDonnell. Read the full text of our review at Mysterious Reviews: Deadly Pursuit by Irene Hannon. 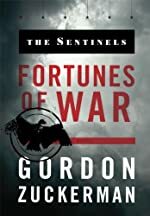 MystereBooks is pleased to feature Fortunes of War by Gordon Zuckerman as today's free mystery ebook. We don't know how long it will be offered at this special price (typically only until a certain number of downloads have been completed), so we urge you to download it while it is still available for free. About Fortunes of War (from the publisher): In the financial devastation of the 1930s, a greedy, power-hungry group of German industrialists plot to usher in the National Socialist Party in order to rearm Germany and reap the financial rewards. Thus rises Hitler. With Hitler in power, the Six Sentinels, graduates of an elite American doctoral program, uncover the industrialists' plan to hoard hundreds of millions of dollars in illegal war profits. Using their financial and familial connections around the globe, they work to foil the machinations of the financiers of the Third Reich. In a daring strategy of Robin Hood style thievery, the sentinels put their lives on the line to serve justice — and thus become embroiled in a dangerous and violent international conspiracy. Earlier this week the Southern California Independent Booksellers Association (SCIBA) awards were handed out, with Savages by Don Winslow winning the 2011 T. Jefferson Parker Mystery Award, named in honor of the crime novelist, a lifelong resident of the area. Winslow has previously been honored with a Shamus Award for Best PI Hardcover in 2000 and two Falcon Awards. 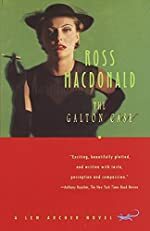 A list of the top 15 mystery hardcover bestsellers for the week ending October 28th, 2011 has been posted by the Hidden Staircase Mystery Books. No change among the top five this past week, with the latest Jack Reacher thriller, The Affair by Lee Child retaining the top spot. One new title debuts this week. 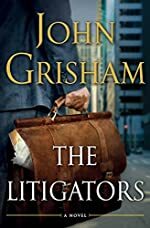 John Grisham's new legal thriller The Litigators enters the list at number 12. 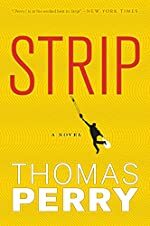 Thomas Perry's 2010 crime novel Strip is being adapted for film. Aaron Stockard (Gone Baby Gone, The Town) will write the screenplay. Strip opens with aging but formidable club owner Claudiu "Manco" Kapak robbed by a masked gunman as he places his cash receipts in a bank's night-deposit box. Enraged, he sends out half a dozen security men to find the witless culprit. Their search leads them to Joe Carver, an innocent but hardly defenseless newcomer who evades capture and sets out to make Kapak wish he'd targeted someone else. Meanwhile, the real burglar, Jefferson Davis Falkins, and his new girlfriend Carrie seem to believe they've found a whole new profession: robbing Manco Kapak. Lieutenant Nick Slosser, the police detective in charge of the puzzling and increasingly violent case, has his own troubles, including worries about how he's going to afford to send the oldest child of each of his two bigamous marriages to college without making their mothers suspicious. As this strange series of events explodes into a triple killing, Carver finds himself in the middle of a brewing gang war over Kapak's little empire, while Falkins and Carrie journey into territory more dangerous than they could have ever imagined. The murder mystery The Double opens in limited release this Friday, October 28th, 2011. 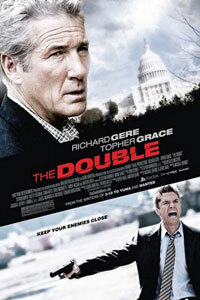 Based on an original story by crime novelist Derek Haas and his writing partner Michael Brandt (who also directed), the film stars Richard Gere as retired CIA operative Paul Shepherdson, who teams with rookie FBI agent Ben Geary (Topher Grace) to solve the mysterious murder of a US senator that bears the distinctive trademark of the legendary Soviet assassin "Cassius". Having spent his career chasing Cassius, Shepherdson is convinced his nemesis is long dead, but is pushed to take on the case by his former supervisor, Tom Highland (Martin Sheen). Meanwhile, Geary, who wrote his Master's thesis on Shepherdson's pursuit of the Soviet killer, is certain that Cassius has resurfaced. As Shepherdson and Geary work their way through crimes both past and present, they discover that Cassius may not be the person they always thought him to be, forcing both to re-examine everything and everyone around them. Watch a trailer for The Double below. 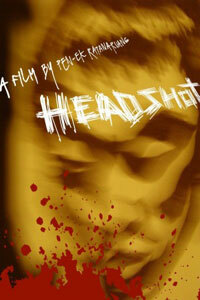 We recently stumbled upon a film trailer for the Thai film Headshot, adapted from the noir thriller Fon Tok Kuen Fa ("Rain Falling Up the Sky") by Win Leowarin. The film is set in present day Thailand, a country rife with corruption. Tul, a straight-laced cop, is blackmailed by a powerful politician and framed for a crime he did not commit. Disillusioned and vengeful, he is soon recruited to become a hitman for a shadowy group aimed at eliminating those who are above the law. Then one day Tul is shot in the head during an assignment. He wakes up after a three-month coma to find that he sees everything upside down — literally. Unaware of whether the condition is medical or a result of karmic retribution, Tul begins to have second thoughts about his profession. But when he tries to quit, roles are reversed and the hunter becomes the hunted. Then he meets a girl that turns his world even more upside down. Can Tul find redemption from the violence that continues to haunt him? Kino Lorber picked up the US distribution rights following the film's showing at the Toronto International Film Festival, but we are unaware of any specific release dates. Watch the trailer below, in Thai with English subtitles, which includes several short NSFW scenes. Eight character posters from The Hunger Games have surfaced at various websites. We're showing Katniss (right), but you can see all of them via the links below. 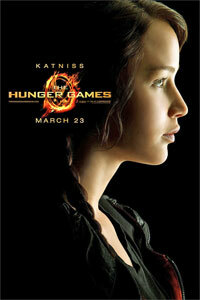 The Hunger Games is adapted from the first novel in the young adult trilogy of thrillers by Suzanne Collins. It opens in US theaters March 23rd, 2012. 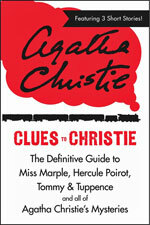 Next month, HarperCollins is publishing an ebook titled Clues to Christie: The Definitive Guide to Miss Marple, Hercule Poirot, Tommy & Tuppence, and all of Agatha Christie's Mysteries. This fully authorized and comprehensive guide to the Queen of Mystery includes an introduction by award-winning Agatha Christie expert John Curran with features on each of her classic detectives including Miss Marple, Hercule Poirot and Tommy & Tuppence; guides to reading each of her series and her stand-alone novels; and an A to Z of Agatha Christie. Interspersed throughout are quotes from Christie, a list of the Christie novels that were her personal favorites and three of her classic short stories: "The Affair at the Victory Ball", "Greenshaw's Folly" and "A Fairy in the Flat". We're not sure what the price will be when published, but you can currently pre-order it from Amazon.com for free. Note: Prices can and do change without prior notice, so please confirm the price of your book purchase before checking out. MystereBooks is pleased to feature We Hold These Truths by Skip Coryell as today's free mystery ebook. We don't know how long it will be offered at this special price (typically only until a certain number of downloads have been completed), so we urge you to download it while it is still available for free. 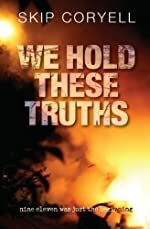 About We Hold These Truths (from the publisher): After Hank Simmons caught his wife cheating with his Editor, he fled the hustle and bustle of the big city, and moved away with his four children to a small one-horse town in Northern Michigan. All he wanted was a little peace and quiet, and a safe and happy place to raise his children. Hank bought the local newspaper, and all was well … until … 9/11. And then the peace and tranquility of small-town America is suddenly shattered when a terrorist cell group from Detroit is infiltrated by FBI Special Agent Richard Resnik. Agent Resnik, hot on their trail, follows the terrorists to Grand Rapids, but he underestimates the leader, Momin Islam, who attempts to detonate one of two nuclear suitcase bombs, and then flees north, with Agent Resnik in pursuit. Everything comes to a head when Momin stops in Freidham Ridge for gasoline and a simple bite to eat. Agent Resnik is compelled to join forces with Hank and the townspeople as they fight to capture the terrorist and prevent him from exploding the second nuclear suitcase bomb. Through the course of conflict, Hank and the other townspeople are forced out of their small, secure worlds, and now must look at things in a global way, where black and white no longer seems cut and dried. MystereBooks is pleased to feature The Bourne Betrayal by Eric Van Lustbader as today's Amazon Kindle Daily Deal. The deal price of $2.99 is valid only for today, Thursday, October 27, 2011. This is the fifth book in the series, the second written by Lustbader following the death of Robert Ludlum in 2001. 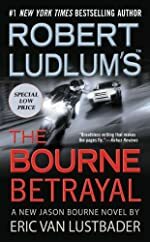 About The Bourne Betrayal (from the publisher): Already devastated by loss, Bourne is shattered by a report that his last friend in the world, Martin Lindros has gone missing. A CI deputy director, Lindros was in Ethiopia tracking suspicious shipments of yellowcake uranium and atomic bomb weaponry. His last lifeline to humanity, Bourne will not let Lindros go. Despite his hatred for CI, Bourne sets out to rescue his friend and finish the job: dismantling a terrorist network determined to build nuclear armaments by cutting off their source of money. But Bourne doesn't realize that these men, Islamic supremacists, are leaders of an incredibly dangerous, technologically savvy group with ties from Africa, across the Middle East, and into Eastern Europe and Russia. They have predicted Bourne's every move, and are counting on his unwitting help in their plans to destroy America. Amazon Kindle Daily Deal 10/27/2011 Download Link. Earlier this year, crime novelists Lee Goldberg and William Rabkin created a new series of adventure thrillers featuring Matthew Cahill, a man resurrected from death. 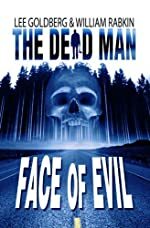 After writing (and publishing) the first book, Face of Evil, they recruited other writers to continue the series, which eventually numbered five before the authors signed a new deal with 47North to manage the publication of future books in the series. Goldberg and Rabkin will continue to be responsible for the books' content. As part of this new deal, 47North is reissuing all five books in the series as ebooks, and they are currently priced at 99 cents each (though we suspect this is some sort of introductory offer and not an on-going price). The Blood Mesa by James Reasoner. The sixth book in the series, Kill Them All by Harry Shannon, which will be published in November, is also currently available to pre-order for 99 cents. Important note: Prices can and do change without prior notice. Please confirm the price of your book before you checkout.